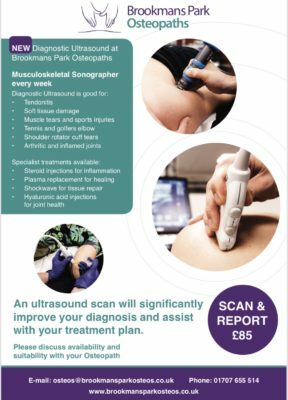 We are so excited to announce the opening of our new diagnostic ultrasound clinic with experienced Physio and specialist musculoskeletal sonographer Jon Wride, who will be running a diagnostic ultrasound clinic every week. To discuss if you are suitable call 01707 655514 or just book straight in for your scan and report. Cost £85.